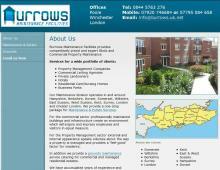 Burrows Maintenance Facilities provides competitively priced and expert Grounds and Commercial Property Maintenance. Our Grounds Maintenance division operates in and around Dorset, Hampshire, Somerset, Wiltshire, Berkshire, Surrey, Sussex, Kent & London. Our Grounds Maintenance is complemented by our Commercial property maintenance & Estate management services, providing a one-stop package for our clients.